Any of the eight teams in the Euro 2016 quarter finals could win. How open is that? Pre-tournament favourites France have had a bumpy ride so far and this year’s edition has provided more underdogs than usual to root for. The 15th European Championship held in France this year is just over halfway through. We are now left with the last eight nations who have reached the quarter-finals. This year, the Uefa Executive Committee decided to expand the finals from 16 to 24 participating teams, giving European minnow footballing nations a chance to prove their mettle at an international tournament. Albania, Iceland, Slovakia, and Wales made their European Championship debuts, while a historic 44-year-old Hungarian return – their last participation was in 1972 – meant that this year’s tournament had more underdogs than usual to root for. Here is a look at this European Championship’s final eight teams. Poland have sneaked through to the quarter-finals with solid defensive discipline and a horrible attacking display. They have progressed through their group undefeated, went on to win a penalty shootout in the round of 16 against Switzerland and now face Portugal. What is worrying for Poland is that their attack, spearheaded by Robert Lewandowski has failed spectacularly in comparison to their qualifying campaign. Lewandowski has a 40% shot accuracy and has not scored, or assisted, in the tournament since his opening goal in Euro 2012 against Greece. Poland are yet to trail in a game this tournament, but as we enter the final rounds, it appears that that stat will disappear quick. Poland need to find rhythm. Arkadiusz Milik and Jakub Blaszczykowski have stepped up in place of the absent Lewandowski this tournament, but a continued lack of enthusiasm showed by the Bayern Munich forward could make the job easy for Portugal. Despite not winning a single group-stage game, Portugal have notched up another successive quarter-final appearance since Euro '96. 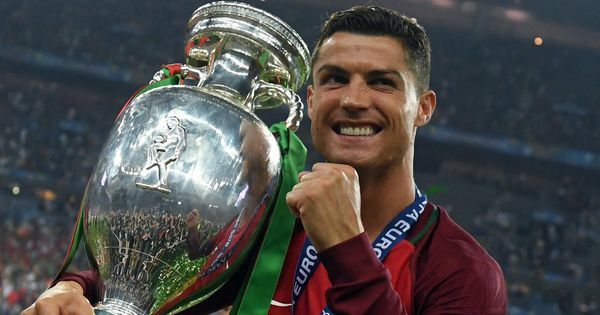 This tournament could be the last for the likes of Cristiano Ronaldo (31), Bruno Alves (34) and Pepe (33), and usher in a new generation of players such as Andre Gomes (22) and Renato Sanches (18). Portugal have been sluggish at the back, and their defensive combination of blocked shots, interceptions and clearances ranks 13th in this tournament. With a weak defence, the team gets pinned back in its own half and fail to get the ball out to its most dangerous men. A prime example was seen in the last knockout stage game against Croatia, when Portugal managed to win the ball back only twice in their opponent's half in two hours of football. The Seleção need to play a more confident game and push higher up the pitch if they want to hurt Poland. Gareth Bale is the tied top-scorer in the tournament with three goals. En route to topping their group, Wales scored six goals in the group stages, equal on top with the now eliminated Hungary. Wales play with a packed five-man midfield operating ahead of a three-man defence. This has been effective against weaker teams, especially Northern Ireland in the last round, but a more tactically aware Belgium side could exploit the gaps left by the Welsh wing-backs. Wales defend deep into their own half and their central spine of James Chester, Joe Ledley, Aaron Ramsey and Joe Allen contribute with an average of 10 successful tackles each game. Against a fast-paced Belgium, this spine may not be able to handle the pressure. Reports have confirmed that skipper Ashley Williams will be fit to face Belgium, which is good news for the Welsh. Wales will look to prolong their European debut for another round and seeing off Belgium in the quarter-finals will require a herculean task from their squad. Belgium have the third-highest shots taken and the sixth-best shot accuracy in the tournament. Stand-in captain Eden Hazard has found his form just in time and has contributed three assists and a goal so far. Marc Wilmots’s side have taken four games to find their feet. Most of their attack has been funnelled through Hazard. Out of 24 successful take-ons against Hungary in the round of 16, Hazard led with 13 of them, all but one coming from the left flank. Belgium have found their pace as the tournament, but still haven't found successful conversions early on in the game. Seven of the eight goals scored by the Red Devils have been in the second half, with six in the last half hour. Their defence has been solid and they come into this match having not conceded in their three previous games. Belgium walk into this game on the back of a strong run and confident players who have seem to have found rhythm at the right time. The current world champions have been defeated by Italy in the 1970 World Cup semi-finals, the 1982 World Cup final, the 2006 World Cup semi-finals and, most recently, on home soil in the 2012 European Championship semi-finals. Germany have relied on a disciplined Toni Kroos dictating the midfield tempo. With a pass accuracy of 92% and 436 completed passes – 141 ahead of second-placed Jerome Boateng – his distribution makes Germany dynamic. Die Mannschaft lead the tournament with the most number of shots, although with only a 43% shot accuracy. Dictating play through midfield works for Germany and while the Italians defend in numbers, they have a poor passing accuracy (78%, ranked 18th in the tournament), which the Germans will look to exploit. The Italians have relied on coach Antonio Conte’s faith in the back four from Juventus. A three-man central defence with goalkeeper Gianluigi Buffon between the sticks gives Italy the stability to sneak in rebound goals and sharp 40-metre defence-piercing passes from the back. Italy have preferred to play with a rigid defensive strategy, absorbing all the pressure their opponents throw at them. Only one out of their previous four games saw them cross the 50% possession mark – in their shock defeat against Ireland. Building from the back, the Italians have put together the fourth-highest interceptions in the tournament. While Germany have enjoyed more than 50% possession in each of their previous four matches, in all likeness this tie will prove to be the most exiting game of the four quarter-final matches, where even a solitary individual Italian defensive error may cause an entire nation’s heartbreak. Hosts France have had a bumpy ride into the final eight. Two late goals against Albania and a last-gasp 90th-minute winner against Romania in the group stage have highlighted problems on the pitch. While off the pitch, coach Didier Deschamps has still not figured out what system suits his players best, with the likes of Paul Pogba, Dimitri Payet and Antoine Griezmann all looking toothless for long spells in their four games so far. France have found a niche in dominating in the air, winning 63% of their aerial take-ons this tournament, more than any other team. The use of centre-forward Olivier Giroud as a target man, whose hold up play – as seen in Greizmann’s goal in the round of 16 against the Republic or Ireland – could lead to the likes of Griezmann and Payet getting more space behind the defenders, giving their most creative players more area to manufacture and convert chances. Iceland finished second ahead of Portugal in their group and knocked out perennial under-performers England in the round of 16. A team with very few recognisable players and a co-head coach who is a practicing dentist in his hometown of Heimaey couldn't have asked for a grander underdog story. However, beating the host nation for a place in the final four will be a mammoth task. Iceland have still not dominated their opponents in this tournament: they average one shot every 30 passes, which ranks low among the participating nations this year. With an average of 39% possession per game, allowing France to keep the ball will hurt them. However, on the upside, Iceland are only the second nation to have scored in each of their Euro 2016 games. Each of their six goals has been scored by six different players. If they're to pose any threat to France, they must aim at keeping the ball a little bit more.